Hike the three main valleys of the classic W Circuit. Unusually this programme mixes camping and refugios and starts and ends in Calafate. 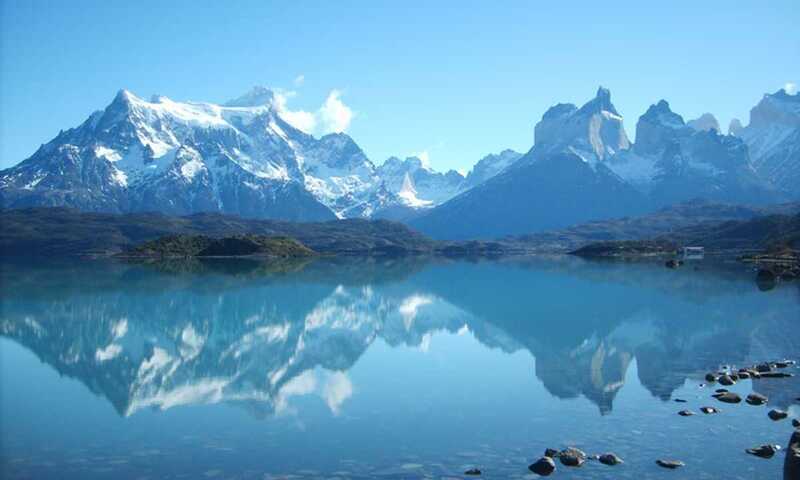 You will arrive in the El Calafate airport (FTE) and be taken directly to the city. The drive is approximately 30 minutes through the Patagonian Pampas. You will be taken to your accommodation and have some time to freshen up. Today is free to do as you please. Early in the morning you will take another bus to Puerto Natales. The trip is approximately 5 hours and you will arrive in the town for a late lunch. You will have the afternoon to explore the town and finish any last minute preparations before leaving the next morning for a five-day hike. After an early breakfast, you and your guide will leave Puerto Natales heading towards Torres del Paine National Park. After arriving in the park you will begin to walk up Almirante Nieto, a mountain that takes you to an incredible view of Lake Nordenskjold and the Asencio Valley. You and your guide will arrive at Camp Chileno a few hours after lunch. After a short rest in Chileno you will hike one hour through a dense Lenga forest and arrive at Camping Torres. This is where you will be spending the night, so your guide will set up your tents and put your backpacks inside, before continuing on the hike. 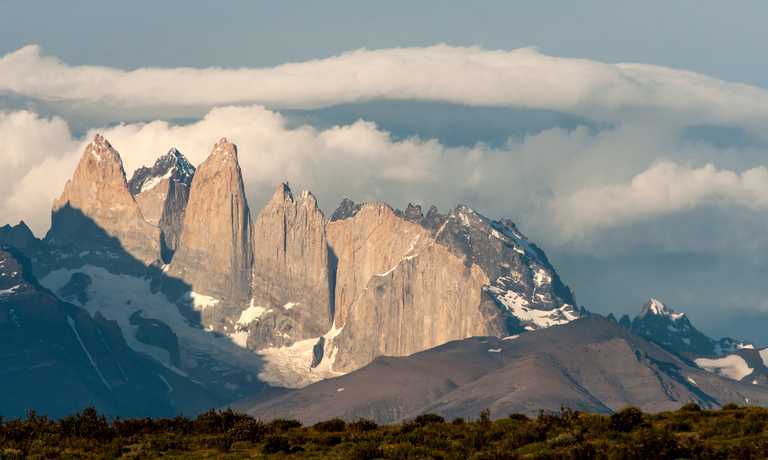 After leaving the forest, you will approach a moraine and climb to see the amazing granite peaks known as the Torres. After a bit of time admiring the view you will return back to your camp to have dinner and sleep. In the morning you will have breakfast and then prepare to hike again. 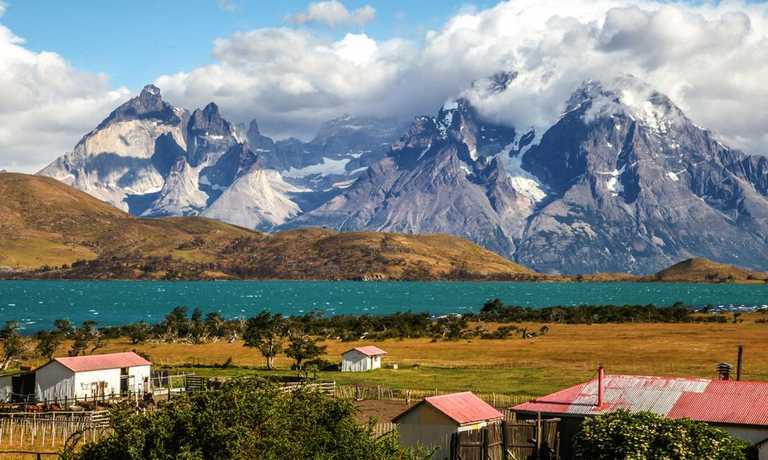 You will leave Camp Chileno and walk for four hours towards Camp Cuernos, which is located on the coast of Lake Nordenskjold and the foot of the impressive Cuernos of Paine. Along the way you will border Almirante Nieto and pass by Lake Nordenskjold. You will have a few rivers to cross by hopping across rocks and also catch views of glaciers upon the mountain tops that are hovering over you. Finally you see the Cuernos! They are monstrous peaks, you will spend the night at the foot of them after a breath-taking journey. 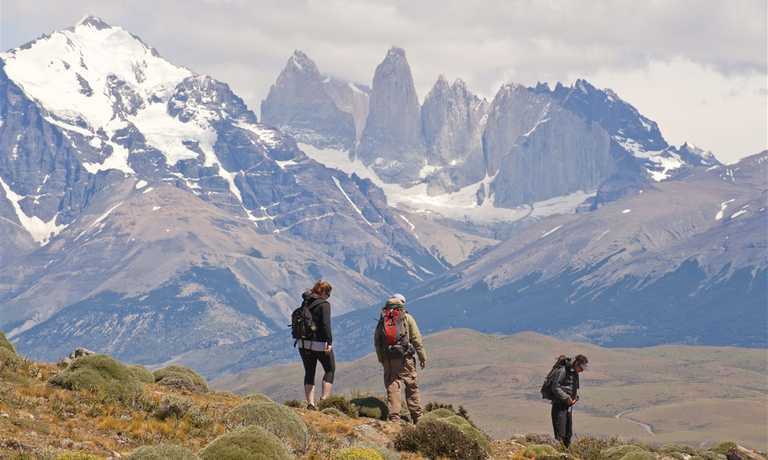 After a delicious breakfast in Refugio Cuernos you will begin to hike! The walk from Cuernos to Camp Italiano is only 2 hours. After arriving in Italiano you will leave your things in your tent and begin hiking further into the valley. You will hike across a moraine and through a forest until you come finally come to a clearing. Here you will be blown away both by the wind and by the spectacular views of Lake Nordenskjold, Skottberg and Pehoe behind you, the shocking hanging glacier called the French Glacier just ahead of you and by many of the peaks that are the reason why this park has become famous. After leaving the lookout you will return to Camp Italiano to spend the night. Today will be a long day! You will wake up and begin hiking towards Refugio Paine Grande. It is a short two hour hike over smoothly rolling hills. You will be able to take a short rest in Refugio Paine Grande before you continue on four more hours to finally arrive at Refugio Grey. The section of the hike from Paine Grande to Refugio Grey was burned in Dec. 2011 and the landscape will still be recovering from the fire, but Glacier Grey will be just in front of you and its size and colors are spectacular! After four days hiking on the infamous "W" in Torres del Paine you will have just a morning left to relax, take more pictures or go for another short hike. You will board the Grey II boat in the afternoon. You will enjoy your afternoon by admiring the glacier from up-close and take remarkable photographs of the surroundings. Just after 15:00 hrs you will begin your journey towards Puerto Natales and arrive in time for dinner and a good nights rest. Today you will take a transfer back to El Calafate or onwards to Punta Arenas. You will arrive in El Calafate at approximately 14.00 hrs, or in Punta Arenas at 11:00 hrs. You will say goodbye to our staff and continue your journey home or to your next destination! Price of CLP $1302000 per person is indicative of a group of 2 people and will decrease if the group is bigger.